The two words every parent dreads, POTTY TRAINING. Well I certainly did and panicked just at the thought of it. Having two boys, people would say to me 'boys are so lazy'; ' he will have so many accidents' and 'make sure you have a whole week indoors and DO NOT leave the house'. Luckily for me my boys did amazingly well, and were both potty trained within one week. With our first born son I had tried previously when he was 18 months but he just was not ready, so I waited until his 2nd birthday. We went out for the day to Peppa Pig World, I put him straight into pants and amazingly he had no accidents and was fully potty trained within one day! (Very rare and I doubt that many people will be lucky enough as I was). With our youngest son it took a bit longer, I just knew he wasn't ready; he was a very late talker so I knew that if he couldn't tell me he needed to go to the toilet, we would get nowhere. I started to slowly introduce the potty to him when he was 2 but he was petrified of it and I didn't want to put him off forever so I put the potty away until I knew he was ready. A few months later his talking came along really well so I thought I would give it another try! I got the potty back out and got him to sit on it now and again during a nappy change. This time he wasn't scared and would actually do wee now and again, so that was it the potty training began. Straight into pants, we had a couple of accidents but he hated being wet so soon realized that he needed to go to the potty to do his wees. Within a week he was fully potty trained. I thought I'd share with you how I potty trained my boys both within a week. Two things to note where that our eldest son was 2 and was a very good talker in fact he wouldn't stop, while our youngest son only knew a few words and noises and was 2 years and 3 months. When we started training him he would come and find us hold his crotch and make a noise at us to let us know he needed to go to the toilet. These were the steps I took. Before you even start potty training these two steps are super important. If you haven't already done so, when you think you'd like to start potty training go out and buy a potty or head over to Amazon. We used the Pourty Potty as it's great for boys as it has a raised front bit to stop wee going everywhere and then it's designed for easy pouring into the toilet for less mess. And then we stuck a color changing wee sticker on like this one. It's amazing, it changes color when they wee to reveal a fun animal picture. My boys loved it. Once your brand new potty arrives get the potty out and have it around the house so your child can recognize it. At first they won't know what it is. They'll put their toys in it and think it's a new toy. So this is an important step. Introduce them to it, maybe take it to the bathroom when you go to the toilet and say this is your personal toilet. Let them know what it's for. Like I said before this really worked for my second son. After most nappy changes id sit him on the potty in a hope that he would associate nappy changes with the potty. Once you've done the two steps above your child will be able to give you signs that they might be ready to start potty training. 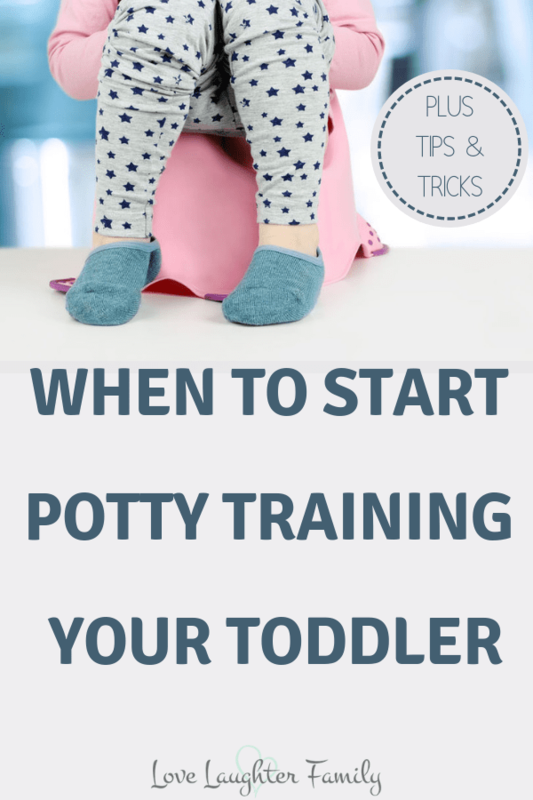 It might take months, weeks, days or even hours for them to feel comfortable to move on to potty training after they've been introduced to their new potty. 1. Do they want to sit on the potty? If your child is scared of sitting on the potty don't force them, this will just make them fear the potty which is not what you want. If they want to sit on their potty then you know they feel comfortable with it and recognize it's for sitting. Can they speak yet? Are they able to tell you they need to go to the toilet? I waited until my son could speak a bit better so he could tell me when he needed to go. 3. Do they know what they are doing? When your child is able to tell you that they have done. Do they know if they are doing a wee or poo in their nappy? Once you think your child is ready to start potty training whip those nappies off and get them into big boy/ girl underwear. 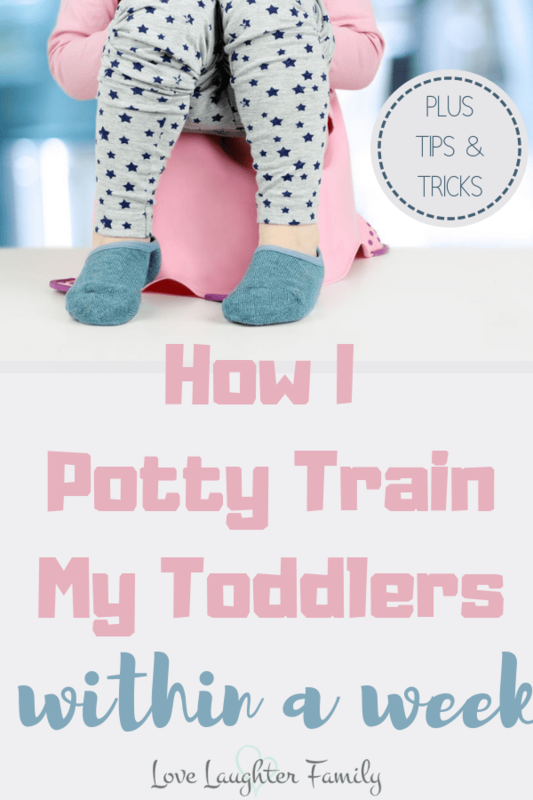 I do have some personal tips and tips from other parents on how to potty train your child. In no particular order. Go and buy them their very first set of underwear. They are about to take a huge step in their young life. Let them chose or choose something fun for them and then take of the nappies and put their new undies on. They have never worn pants or knickers before and we don't want to ruin them with an accident. An obvious one here, but keep reminding and asking you child if they need a wee. Take them every half an hour, that way they will get into a habit of going to the potty and lots of praise when they have used the potty even if they haven't done anything just tell them 'well done for trying' this will create a positive attitude towards the potty. Do this step every day all day until they are potty trained and dry. You cannot let them fall into bad habits and move backwards. Trust your instincts, if you think they are not ready then try again in a couple of weeks. DO NOT use pull ups! Pull ups are great for the parents, ensuring that they have no accidents on that lovely new carpet or in the car seat which is a nightmare to clean. It just completely confuses the child. Put them straight into pants/ knickers, this way they will feel the wet and tend to be very uncomfortable and not like it, meaning that they will make sure they go to the potty the next time. Don't think you have to stay in all day until they are potty trained, you will slowly go crazy and want to scream! Just take lots of spare clothes, even socks and shoes (just in case). A great way to make sure there will be no unwanted accidents in the car seat is to use puppy training mats (like these here) on the car seat and get them to sit on this. Sounds crazy but it will save you having to clean the car seats over and over. Night time can be more worrying. Make sure you ask them before they go to bed if they need the toilet or sit them on the potty for and make them try. I then put both our boys in nappies for the first few nights. Once you have a few consecutive dry nights you can take the nappy off and let them sleep in their underwear. If you allow them to wear nappies at night for too long psychologically they will think it's okay wee still at night making them more likely to wet in the day so as soon as you can get them out of nappies at night the better. We bought a plastic mattress protector like this one just in case he wet the bed at night. It does come in very handy, he has had a couple of accidents at night when he didn't wake up quick enough to run to the toilet and all we had to do is change the sheet and wide down the mattress cover with a antibacterial wipe. If your child attends a day nursery, ensure to ask the nursery staff how they potty train and make sure you work with them to ensure the potty training process is consistent for them. The worst thing for a child is when they are doing it one way at nursery and then a completely different way at home. When it comes to the poo's (number 2) this can take a little longer to get the hang of. Every time my youngest would see his poo in the potty, he would freak out but with lots of praise and reassurance he was soon fine with it. Knowing when to start your Child's' potty training will vary with each child. Some children have been known to be potty trained and dry at 1 year old! I've never met anyone with such claims, at the other end I do know parents with children in their 3's still in nappies and some even older that wear pull ups to bed! I'd love to think that you can also get your child dry within a week like I did by following the steps I took above. Being consistent within the first week is so important to the success of your Child's training. Once you start potty training persist with it. If they keep wetting themselves or hate the potty its maybe the wrong time. Taking breaks because it suits you will just confuse them. I'd love to know how you get on and if you have any other helpful tips. Just write post them in the comments section below.